Extra sessions over the school break, starting Wednesday the 10th. 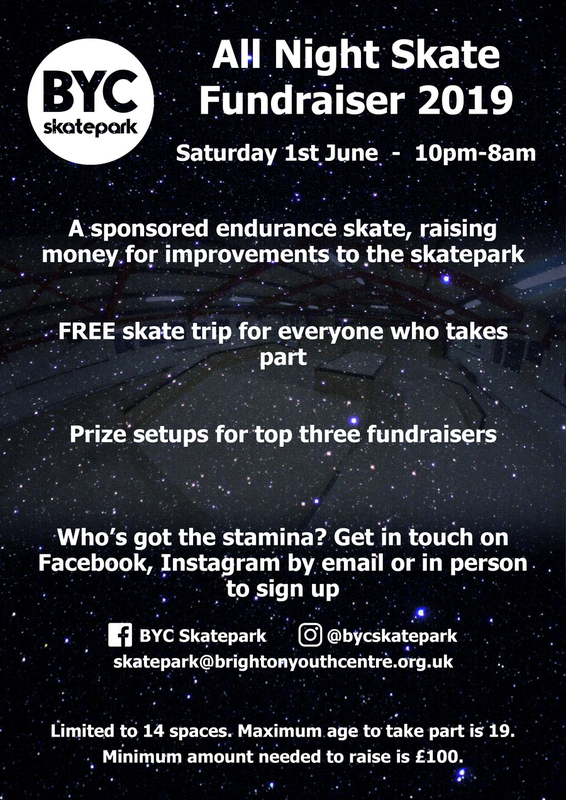 All Night Skate Fundraiser 2019! We’re now taking donations for our first challengers. There are still spaces available to get involved! After the success of last year, we’re bringing back our all night endurance challenge to raise funds for further improvements to the park. We’re looking for 14 young people to take up the task, and gather sponsorship for their efforts. You’ll be able to raise money through our website, making it easy as possible. 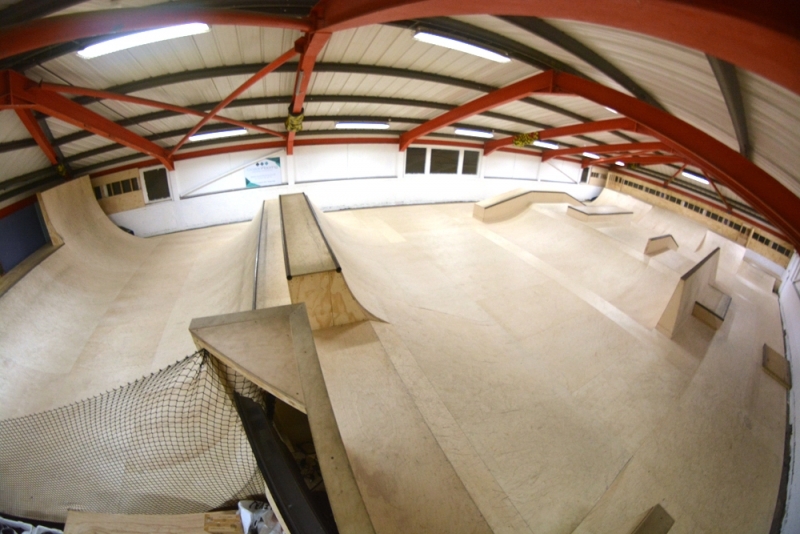 Everyone who takes part will be taken on a free skate trip to say thank you, and the three highest fundraisers will each receive brand new setups on top of that. If you’re aged 19 or under and want to know more, give us a message on Instagram, Facebook, by email or in person asking for more info and we’ll give you the full rundown on how to sign up and what to do from there. Last year we raised an amazing £2,400 from this event. We hope we can go even further this year to continue to make the park a better place for everyone. Are you up for the challenge? Let us know. With the inaugural Olympic skateboarding events fast approaching, we recognise that our country’s chances of gold are at the moment rather slim. As a skateboard focussed park, we feel we’re on the perfect position to rectify this, and so, after some piloting, are launching our Olympic level skateboard coaching program to the public. We’ve compiled a short video about what we do and how we’ll achieve our goals. Please take a watch and if you know someone aged 15 or under who you feel has potential waiting to be unleashed, please get in touch to refer them. 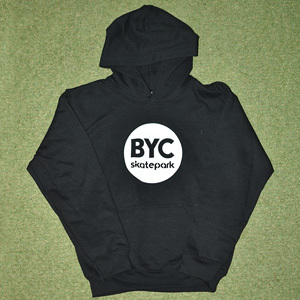 BYC Skatepark is Brighton’s only indoor skate facility. 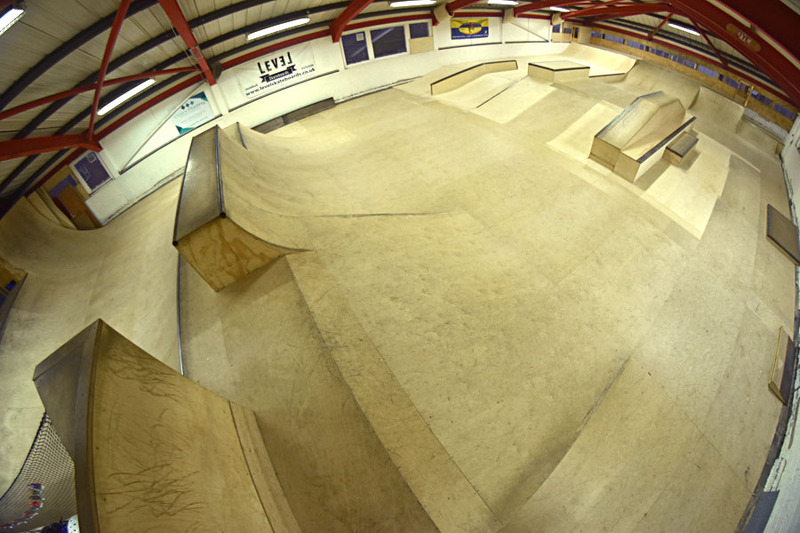 The park is exclusively for skateboarding, and is accessible to people of all ages and abilities. The park features obstacles of varied sizes and difficulty to suit all levels. Skateboards and protective equipment are always available to use for free for those without their own! 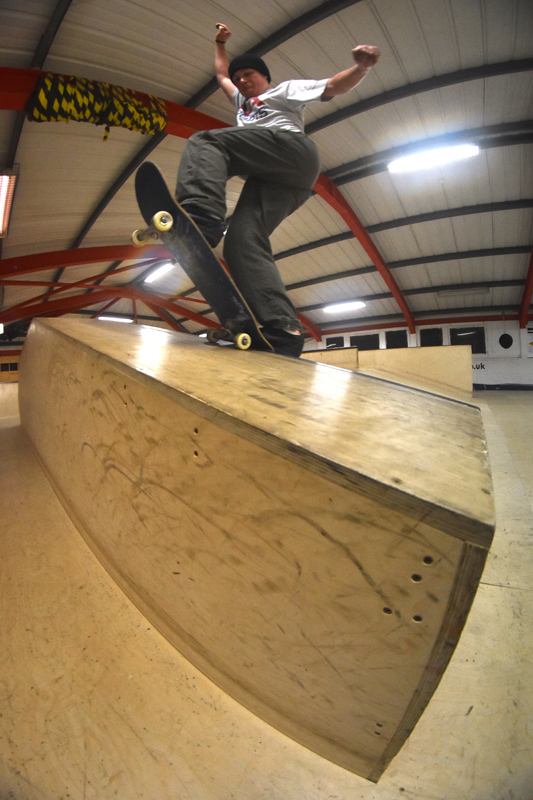 Our popular tuition courses run throughout the year and have helped hundreds of children and adults to start skateboarding.